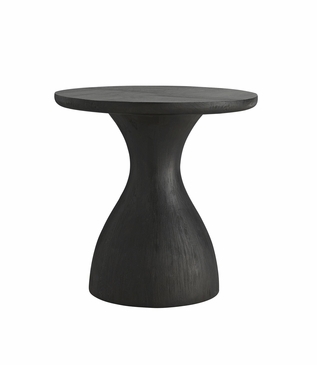 Inspired by the gourd-shaped tribal drums found throughout Africa, this side table has a seductive silhouette. 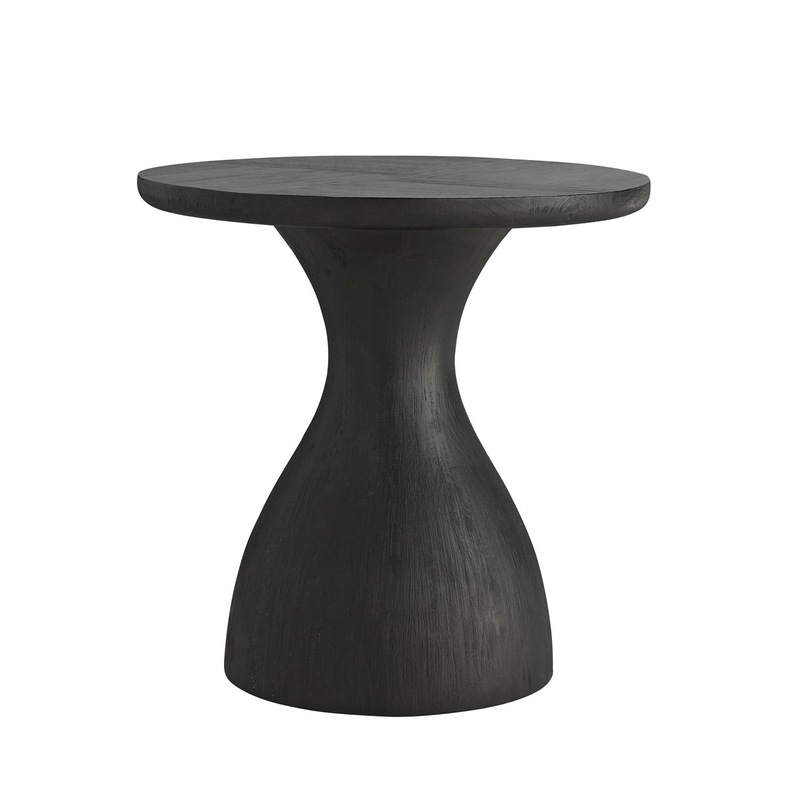 Handcrafted from mango wood, it is first sandblasted to give it an intensely organic texture. 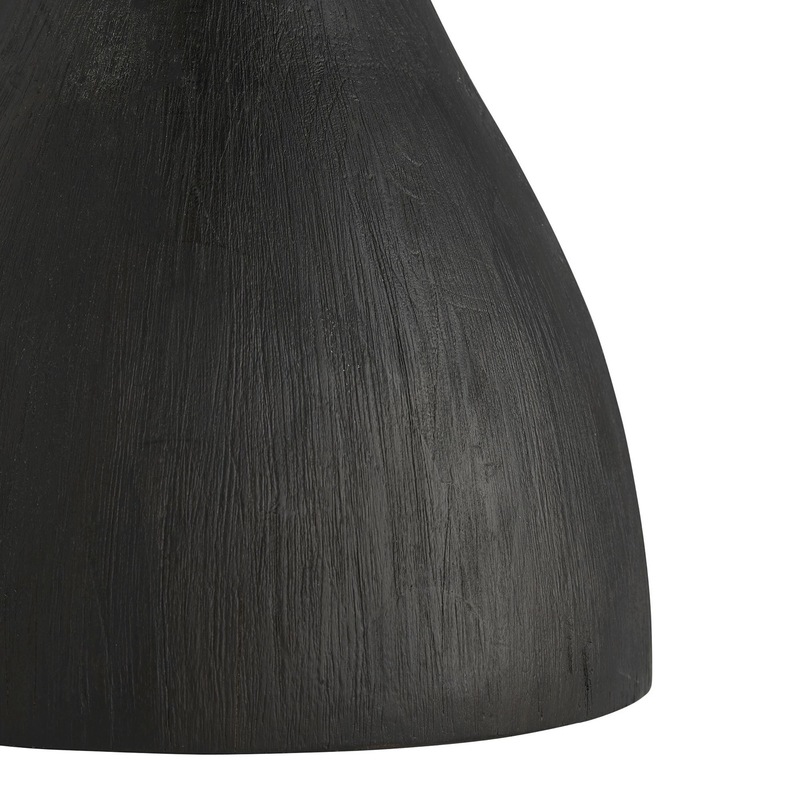 After applying additional texture with a wire brush technique, an inviting ebony stain is applied. The top features a unique, pie-patterened apperance as a result of the brushing process. 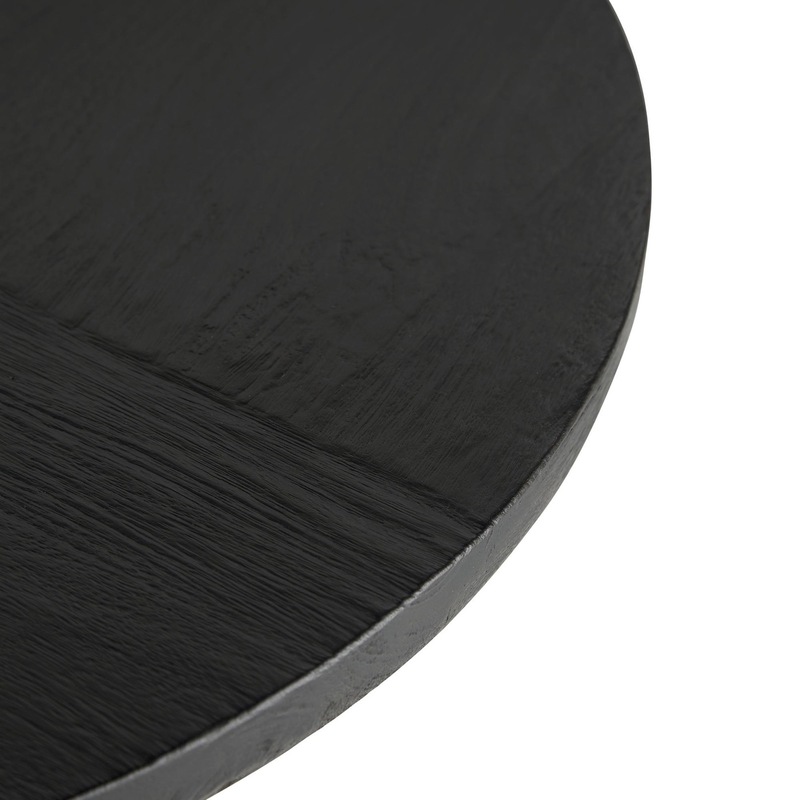 The last finishing step is a waxed coating that gives this side table its modern polish. 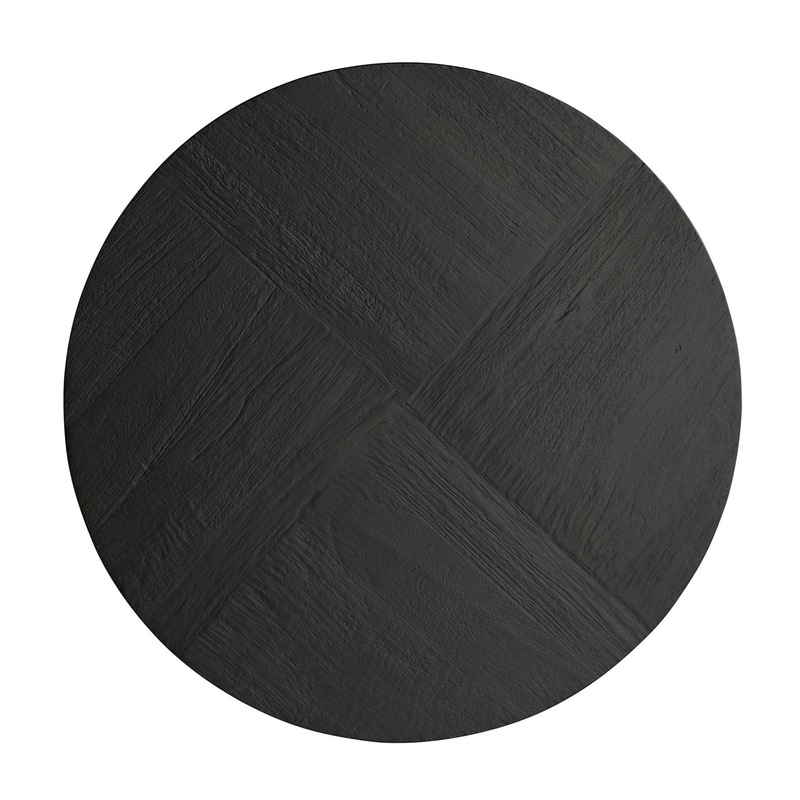 Drink coasters and/or a glass top (not included) are recommended to protect the natural wood surface. 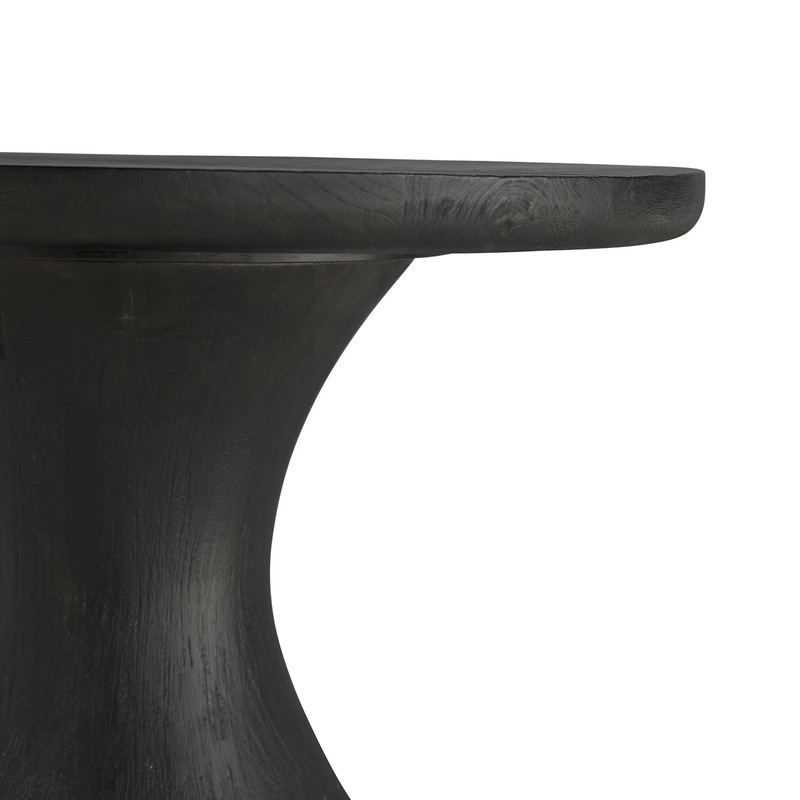 Due to the handcrafted and hand-finished woodwork, slight variations in the finish and distressing should be expected and considered part of the piece's inherent charm. Size: H: 24.5" • Dia: 24"